2018 was another year of struggling in my "day job" career at our local airport. Internal company restructuring forced me to move positions in the early Autumn. Although I have now settled into my new position, and have integrated myself well into my new department, there will always be a place in my heart for the position I came from. With all that said, the true highlight was spending my last few weeks of summer in Europe! We travelled through the Pfalz, Alsace, and the Ahr wine regions, soaking in the view of sun-kissed vineyards, tasting everything we could get our hands on, and indulging in the local dishes that pair so spectacularly with those wines. You can read about my European adventures here and here. Other highlights include attending my first media event, a lunch with winemaker Gerard Bertrand of the Veuve Clicquot champagne house, and my first ever collaboration, a blog post on bcwinetrends.com about one of my favourite wineries in Okanagan region, Moon Curser Vineyards. Every year since 2013, I've dedicated my first post of the new year to sharing my favourite wines from the previous year. The categories haven't changed as I've decided to keep both the "Social Media Wineries of the Year" and "Wine Bloggers to Follow" lists. There are so many excellent resources out there to learn from! Sadly, the majority of my top red wines this year came from aging in my cellar, so the actual vintages themselves may not be widely available. However, I do encourage you to try any of these reds should you find any on your local store shelves. Price points range from $30 - $50 CDN, and worth every penny! Riesling dominated my white wine consumption for the year, what with travelling to the heart of Riesling country and all! Three of the top 4 wines are of this versatile varietal, with a sleeper hit from Australia mixing it up. Most of these wines are priced between $20 and $35 CDN, with the St. Urbans-Hof priced around $60 CDN, and so worth it! I spent a lot more time quaffing on rose this past summer than I have in the past. 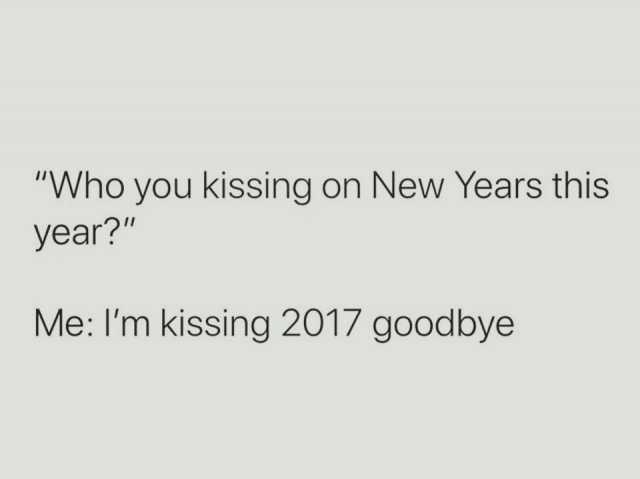 Rose all day, am I right?! The unofficial king of Rose wines, Cotes du Provence, made an impact on my list; however, the top spots went to the New World for their lush and concentrated offerings. Price points range between $18 and $32 CDN, making these gems affordable any time of year! It was a French sweep this year thanks to my #cremanttourdefrance journey in the late spring/early summer. Although the JL Schwartz cremant is not widely available, the rest are priced between $25 and $65 CDN. I fell in love with my top value wine as soon as I tasted it; in fact, it's become one of my go-to white wines when I need a weeknight bottle or a patio sipper in summer! All 4 of these picks are worth tasting if you haven't already done so, and will only cost you $25 CDN or less! The Pinot Noir varietal shows up in 3 of the 4 top wines in this category as it is such a food-friendly wine! This year's top pairings isn't very vegetarian-friendly, but the JJ Adenauer and Burrowing Owl wines would work just as well with vegetarian alternatives like a "beyond meat" burger or veggie flatbread. The JJ Adenauer isn't widely available in Canada (just yet, anyways...I've heard rumours...), but the others are worth the splurge at prices between $30 and $60. Your taste buds will not be disappointed! This category is dedicated to wineries that not only produce quality wines, but also regularly interact with their social media followers. Make sure to like and follow these wineries, and if you happen to see their wines in your local store, why not pick up a bottle for your next quaff? This is my list of must-read (or watch) bloggers that I've started to follow in the past year. Each blogger on this year's list represents a specific wine region, with a youtube vlogger that focuses on value wines rounding out the list. 1. 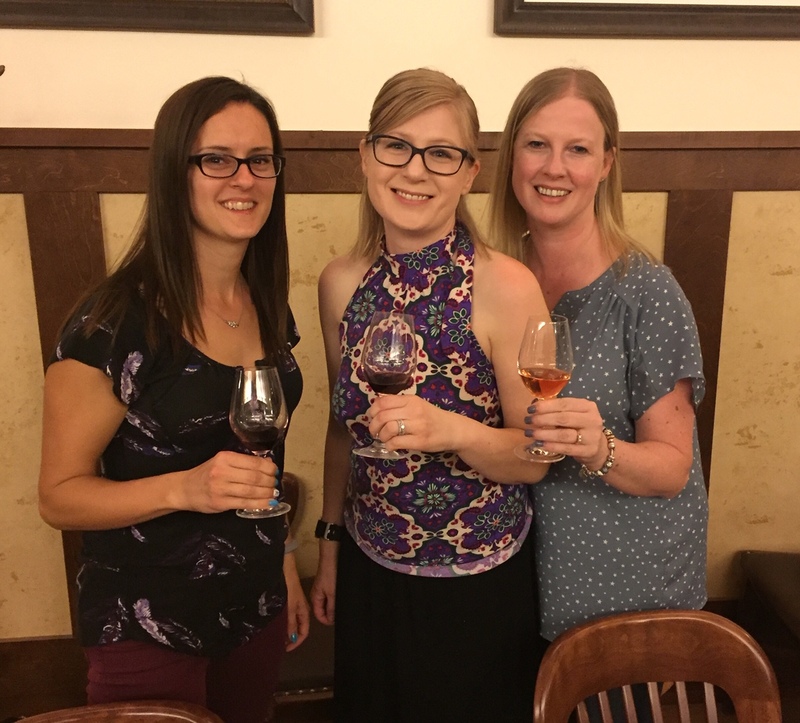 Grapevine Adventures - Katarina, a native from Sweden, moved to Italy and travels the country, exploring all the food and wine that makes Italy the gastronomic powerhouse that it is today. She also gravitates towards some of the wines and regions "off the beaten path", and I have learned so much more about Italy from her than what I have learned in books and other blogs so far! 2. VinoSocial - Nancy Croisier, a native Washingtonian, shares her passion for Washington wine in all of her blog posts. She also creates recipes that she pairs with the wines she reviews, and they are must-tries in your kitchen! Pair this with a friendly & knowledgeable writer, and you have a recipe for success! 3. Jordan Estate Winery - This is by far the most all-encompassing blog I have ever seen created and run by a winery! Jordan Estate covers it all with categories including "Out and About", "Behind the Scenes", "Photo Essays", and more! Posts are uploaded regularly, with notifications sent out on their social media pages to keep you well-informed. 4. Wine on the Dime - Do you prefer to watch vlogs over reading blogs? Wine on the Dime is by far my favourite vlogger to follow. Stuart shares his passion for finding excellent value wines ($15 USD or less), with a quirky twist here and there. Most of the videos are 5 minutes or less for those who prefer shorter wine tasting videos (like me), and there are many great recommendations with a ton of videos found on his channel! Let me know what you think if you try out any of these wines, and feel free to share any you loved most in 2018 in the comments. I'm always open to new suggestions! Autumn is now giving way to winter in the majority of the northern Hemisphere, with some localities having already seen snowstorms! After surviving a record-breaking Snowmageddon in early October, our area has by and large enjoyed a comfortable fall season. It is right around this time that a good chunk of winelovers everywhere, myself included, start to focus their palates on red wines again. In the past, I've gravitated towards Italian Reds and Spanish Riojas. This year, I decided to focus on the Cabernet Sauvignons from Napa Valley; specifically, the 2014 and 2015 vintages. Although Napa Valley can trace their winegrowing history as far back as the late 1600s, it wasn't until the 1960s, when an abundance of vines were planted in the valley, that winemaking really surged. After the successful wins in the Judgement of Paris in 1976, the region became highly regarded and esteemed as one of the top wine regions in the world. Bordeaux varietals rule the valleys and surrounding mountain slopes, with Chardonnay and Sauvignon Blanc white wines crafted here as well. Bottle prices tend to soar here due to the high cost of land and grapes, the prestige of the region, and with extensive care taken in the winemaking process to ensure the highest quality wines. Although this beauty is composed primarily of Cabernet Sauvignon, a blend of 10% Merlot, 8% Petit Verdot, 4% Cabernet Franc and 2% Malbec joined in the fun. This created a big, bold, well-structured wine abundant with flavours of dried currants, blueberries and a hint of smoke towards the long, lively finish. Bright acidity and supple tannins make this wine approachable now, with the potential of aging another 5-7 years, at minimum. Pair this with your next ribeye or baseball steak! 2. St. Supery's 2014 Cabernet Sauvignon boasts muscular but focused tannins, and powerful acidity that smooths out during the long, bright finish. I found lots of red fruit flavours here: red currants and cranberries, changing to red licorice and charred oak notes mid-palate. This Cabernet Sauvignon is very approachable on its own but would also pair well with a variety of foods like charcuterie, cheese, and barbecue. 3. Hess Collection's "Allomi" Cabernet Sauvignon 2015 shows a beautiful, deep purple colour in the glass. The mouthfeel is very smooth and lush, with notes of black currant and vanilla hints wrapped around velvet tannins. This was my personal favourite of the tasting, and was very much enjoyed by my "wine tasting squad"as well! One final Napa Valley Cabernet Sauvignon that is worth trying, is Freemark Abbey. I tasted their 2011 vintage last year, and it also blew me away! Tasting notes here. Any of these beauties are worth the splurge and would be a wonderful addition to your Christmas table, whether you pair it with prime cuts of beef, a charcuterie and cheese platter, or enjoy them on their own in front of a roaring fire. After all, everyone deserves to treat themselves over the holiday season! This will be the last post of 2018 for me. Thank you to all who take the time to read and share my posts; it means a lot to me. Merry Christmas and Happy Holidays to you and yours, from "me and mine"! Deep in the heart of the Pfalz wine country, located just off the famous “Weinstrasse” (wine street), a 300 year-old estate watches over the nearby vineyards in anticipation of the upcoming harvest. The Weingut Geheimer Rat Dr. von Bassermann-Jordan has created a legacy of internationally acclaimed Rieslings within a small town called Deidesheim. I was fortunate to receive a tour and tasting at the estate with Sebastian Wandt, Sales Manager, in late August. Our tour started with a drive into the vineyards where Bassermann-Jordan grows their grapes. The estate owns plots of vines within 10 "Erste Lage" (the equivalent to Premier Cru) and 10 "Grosse Lage" (Grand Cru equivalent) vineyards. This year was very hot, with little precipitation – very similar to the 2003 growing season. Harvest will be starting extra early this season; the week after my visit, in fact, to ensure the grapes are at optimum ripeness and to maximize concentration in the resulting wines. From there, we returned to the estate for a tasting. I was surprised to learn that Sauvignon Blanc is gaining momentum within the Pfalz region. Bassermann Jordann’s Sauv Blanc is abundant with tropical fruits like underripe pineapple and passion fruit, alongside nuances of the traditional grassy notes towards the finish. Refreshing acidity and a clean finish make this wine perfect for those who prefer a more fruit-forward style of Sauvignon Blanc. A drier style of Riesling is generally preferred within the community of the Pfalz, and this 2017 Deidesheimer Kieselberg Riesling represents this style well with racy acidity, and stony minerality mid-palate. Combined with a complex flavour profile of white peach, melon and a hint of tropical fruit, this is a must-try for anyone who loves dry Riesling! My personal favourite of the tasting was the 2017 Deidesheimer Leinhole Riesling Spatlese. Incredibly fresh and clean, with ample stone fruit aromas, bright acidity and honeyed stone fruit leading into a long, lush finish. The wine is on the sweeter side as Spatlese means "Late Harvest", but not cloyingly sweet at all. This Riesling will pair extremely well with desserts like strudels and fruit pies, and is equally as delectable on its own! From there, we journeyed into the cellar. Built in 1822, the cellar has expanded as the estate grew in both side and wine production. A full library containing wines of each vintage from 1880 onward is contained here, and is also fully functional with stainless steel tanks and aging racks for the winemaking process. Bassermann-Jordan's wines are widely available internationally and through North America and offer a wide range of Rieslings that will fit your palate, as well as other varietals including Sauvignon Blanc, Spatburgunder, even Sekt! Special thanks to Sebastian for the tour and tasting. I wish Bassermann-Jordann a successful harvest, and a successful vintage in their wines! 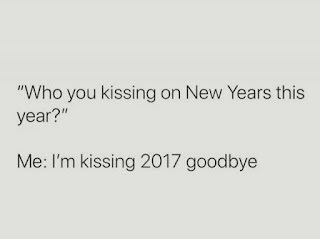 Yep, this pretty much sums up my year. After suffering a grand mal seizure on April 29, I spent the rest of the spring undergoing medical tests, and was diagnosed with Epilepsy in late June. Here in Alberta, the law states that you must be seizure-free for 6 months after the original one before you can drive again. This meant I struggled for months trying to find a way to and from work, which caused me a ton of stress. On top of that, I was offered a layoff package at the same time I was doing all the medical tests. I love my day job and shed lots of tears, along with countless panic attacks. Luckily, the package was voluntary and I am still in my position, although I now fear that the tables may turn at work again. With that said, I have taken these lemons and made lemonade, so to speak! In order to ensure I never have another seizure, I switched over to the Ketogenic lifestyle, which was used to treat seizure disorders in the 1920s and 1930s before anti-seizure meds were developed. If you're not familiar with it, here is some information on Keto, and the health benefits attached to it. What it does mean is that in order to stay in my net carbs range, (total carbs - fiber) I do have to cut down on the wine drinking. However, with only 1.9g of net carbs per glass, I turned to Prosecco in the fall! I love the floral aromas, and can imbibe a little more as the price point is much lower than Champagne (not that there's anything wrong with Champagne!) Stay tuned for a blog post on my Prosecco tastings in 2018! When it comes to the wine world, 2017 became the year of the Winemaker for me. I toured and tasted my way through the Lake Chelan, WA wine region, as well as the Osoyoos & Oliver "Golden Mile" VQA of the Okanagan. I received my first ever bottle sample, and had private tours and tastings of Tsillan Cellars, Moon Curser Vineyards and Ex Nihilo Winery. This really helped me through an otherwise stressful time in my life. And of course, tasting lots of wines helped too! Each year I release a list of the top wines I've tasted in 2017. Just as in previous years, I'm changing up the lists. I'm adding a category named "Social Media Wineries of the Year", dedicated to the wineries that regularly engage and communicate with their followers. I'm also adding a "Wine Blogger of the Year" category with my recommendations on some of my favourite wine blogs that I follow. This year was all about high-priced red blends, with the exception of this beautiful Cab Sauv from Napa. Price points in CDN range between $45 and $70, but are so worth the splurge! Napa Valley takes the top white of the year, ending France's reign from past years. Germany nabs 2nd place, France makes its usual appearance, and Greece rounds out the list. All of these wines are priced at under $50, with Stag's Leap's Viognier priced around $30 CDN! This year is all about the easy-to-find bottles, at or under the $20 price mark. Chile continues to dominate this category from years past - don't pass the Chilean section the next time you are in your local wine store, I promise you won't be disappointed! 1. The Corkscrew Concierge - Kat, a lawyer based out of Houston, does a tremendous job with wine tasting notes, wine and food pairings, and dining recommendations. 2. Tuscan Vines - John Fodera takes you on a wine-fueled journey through Italy, with detailed, yet comprehensible tasting notes. He also provides gourmet recipes to pair with the Italian gems he reviews! 3. Wine and Cheese Friday - Looking for that perfect wine and cheese pairing? Maria has a recommendation for you! She provides tasting notes on both wine and cheese, and offers a wine and cheese day calendar that you can add to your google account or Outlook calendar, so you don't miss a day to celebrate! 4. BC Wine Trends - Julian Park is THE #1 source for information on wines from his home region, in my opinion. BC Wine Trends includes local wine region news, wine & winery statistics, and recommendations on Okanagan wines. So what's next for this year? I've decided to name 2018 as my "Year of Cremant", pillaging all my local wine stores for as many as I can find. Why not, the price is right! There are also possibilities for more wine tasting travels, and potentially returning to wine school to obtain my level 1 Sommelier certificate! Finally, I'd like to thank you all for following my wine journey throughout 2017 and from past years as well. I wish you all the greatest success, joy, health and happiness in 2018. Our senses have been bombarded lately with all the news hype surrounding Brexit, President Trump, and the plethora of natural disasters plaguing the globe. And don't forget the media trend of apocalyptic TV series like The Walking Dead to add to the atmosphere of doom and gloom. If you are like me, you've chosen to "turn off" in a digital sense and focus your energy on reading, studying, or hobbies. A lot of my wine studies this year have drawn me to issues related to wine cellaring. I currently own a 100 bottle cellar with wines ranging in value from $35 through to over $1,000. 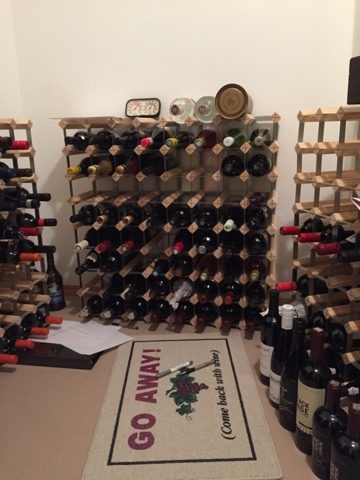 Granted, my cellar is only composed of 3 wooden racks that hold 75 bottles each enclosed in a concrete room; nothing fancy like what you see in Wine Spectator every month. However, the cellar means more to me than just bottles in a concrete room. Many of the bottles enclosed have memories attached to them. The Chateauneuf-du-Pape and Gigondas wines were purchased on our trip to France in 2011. My Krug Clos du Mesnil Champagne tells the story of my oldest daughter's birth and my triumph over those crazy, foggy first weeks of motherhood. The problem lies in when to consume these wines-and in today's tumultuous times, should I even bother with a cellar? My wine cellar. It's not pretty, but it's functional-and doesn't allow for aliens or zombies to get in easily! "How many bottles can I manage?" "Am I cellaring bottles for financial gain, or for personal pleasure?" "What methods and resources do I use to track their development?" "Am I comfortable with the risk associated with my bottles' values?" What about a contingency plan? Zombie-apocalypses and President Trump's initiatives aside, other risk factors include household fires, floods, and other acts of God. Are you prepared to forego tasting your viticultural treasures if any of the above happen, even if you insure your bottles? In the event of a slower catastrophe like Zombies or a plague, my contingency plan is to lock myself in the cellar, drink as many of the wines as I can from most treasured to least, and let nature take it's toll. I'm still working on a plan for the quicker-moving events. Many wine blogs and publications discuss drinking those treasured bottles now, foregoing special events to ensure you get to enjoy them now. It's an interesting concept; on one hand, you will definitely enjoy them and the risk of the wine going past it's prime is reduced. On the other hand, how much will you enjoy that phenomenal bottle on a weeknight, or another time where you might be more rushed? In my opinion it's worth exploring, especially when sampling a wine where more of the same bottles exist in the cellar; however, I still prefer a special occasion to crack open those one-off bottles so I can really indulge in the experience. Even though none of us know what's going to happen next, I do know that I want to enjoy these bottles while I can and relive the joy and memories these wines have brought me. No matter what your wine cellar goals are, may yours bring you joy now, and in the time to come. This year is now coming to a close and although 2015 was relatively quiet in my world of wine, it brought much joy and surprise in other facets of life for me. On April 30, I discovered I was pregnant with my second child and in August, I was delighted to learn my baby is a girl! She will make her big arrival on December 30. She had me craving beer most of the pregnancy, future beer lover? January 1-April 30 still had me busily exploring the world of wine. Some highlights included starting up a tasting group with fellow wine lovers in the late winter/early spring, visiting Jamaica's Appleton Estate Rum Distillery in February and attending a few local tasting events that focused on great value wines. I also made it back to the Okanagan in August and did some wine touring - thank goodness for spit buckets! Even with only 4 months of official tasting, I was able to put together a list of wines and pairings that stood out to me during the year. 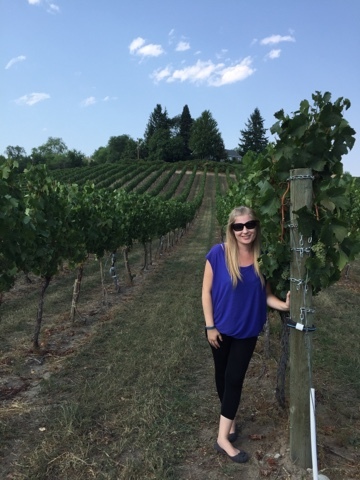 Here are my top wine picks of 2015! Because my drinkable months occurred during the winter, my top picks favour red wines this year. In fact, there were very few red wines I didn't enjoy in the first 3 months of 2015! The top two wines are priced in the premium category, while the other 3 are priced between $20 and $35 CDN. Spain took the top 1 and 3 spots and French whites, including a Premier Cru, took 2nd and 4th place. All wines are priced under $40 CDN with the exception of the Burgundy, which is premium priced. Because of my shortened "tasting season" this year, I wasn't able to spend as much time with sweet wines, sparkling wines or rose wines and will therefore not be adding these categories to my list this year. However, I did get to experiment with wine and food a fair bit, and here are my top picks for pairings. *Don't knock this pairing until you try it! This pairing is great for camping! Three of my top wines in the food pairing category happen to be value wines at under $20 per bottle, so my Top Values list is shortened to include the wines mentioned above. Australian Shirazes dominate the list, with a semi-sweet Tokaji clinching 3rd spot and a New Zealand Sauvignon Blanc rounding out the category. This year I'm going to introduce 2 new categories: Top Spirits and Top Beers. You might be surprised at the number of Canadian spirits & beers on each list, but in my opinion Canada is really starting to make their mark on the world of spirits, especially in the world of Whisky. The top beers are courtesy of my husband, who tasted approximately 100 beers in 2015! So what's next for 2016? I plan to return to wine school through Fine Vintage Ltd and take their Canadian Wine Scholar Certification course in late 2016/early 2017. 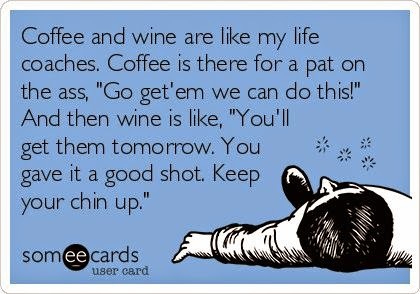 Therefore, my main focus will be on Canadian wines. Our major trip this year will be back to the Okanagan, where I will sample my way through the region and soak up as much knowledge as I can to study and prepare for the course. I am also hoping to spend some time in the Niagara region, should we make it back to my parents' place in Ontario. Other regions I plan to focus on include Champagne, California, Italian food and wine pairings and Rioja, Spain. Huge thanks to all those who still follow me despite my long absence from the blog and twitter! May you have a 2016 filled with good food, good friends and great wine. Cheers! "If you want the rainbow, you have to put up with the rain" - Dolly Parton originally, but I first heard it in The Fault in Our Stars. Normally, quotes don't hit that hard with me. But this line triggered a fountain of emotions, making me sob like a baby. that was not the part of the movie I expected to cry at. I am currently experiencing my second major loss this year. Emotional wounds that I thought were healing are now open again, bringing a rainfall of tears on my cheeks, a flood of emotions in my heart as I grieve, and a downpour of physical side effects. In times like these, it's hard to remember that this too shall pass, and at some point this will all become a distant memory. Last night I sat down with a bottle of Viognier for a future blog post. I took my first few sips to begin my tasting notes, and all of a sudden a fleeting moment of calm and relief came over me as I was swishing the wine in my mouth. Because I was so caught up in my own negative emotions, I had somehow forgotten how happy wine makes me, no matter how bad I feel. Wine is a hug for the soul and a blanket for sorrow. Same thing for those who prefer beer or other spirits. The key is to enjoy them all in moderation. Unfortunately, there are some people out there who drink alcohol in excess to deal with the really tough stuff, but addiction is a whole other story. How many times has a glass or 2 of wine made you smile through your tears, even for a moment? How many of you have taken that first sip and thought "Wow, I'm really enjoying this"? Case in point: My father. He was diagnosed with tonsil cancer back in 2008. Thirty-five radiation treatments destroyed his sense of taste for 4 months. Once he was finished treatment and beginning to heal, he found that wine confirmed his tastebuds were returning, helping with the emotional healing process. Fast forward to today: he is currently 5 years cancer-free, and also has a healthy collection of red wines including Amarone and Chateauneuf-du-Pape that he tucks into regularly. This also happens in the movie (spoiler alert! ): the star-crossed lovers are treated to a romantic dinner, which includes a bottle of Dom Perignon. Check out the video clip here. This becomes the pinnacle happy moment in their relationship, and the couple enjoys another bottle of sparkling wine on one of their last good days together. Multiple studies have been performed on this subject, and if you google "studies that wine makes you happy" or something similar, you'll get pages of hits. How much fun would it be to participate in those studies?! That's what I'm going to do. 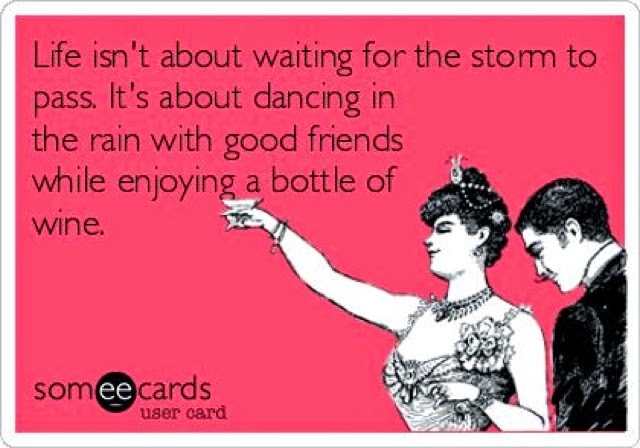 And I know as I continue along my healing journey, my wine journey will help me get back to being okay. It seems like 2011 was a good year for white wine producers all around. The Pfaffenheim is priced at just over $20 CDN, making all four of these wines an excellent value. There wasn't any consistent red wine trend for me this year; however, I did develop a fondness for Italy's southern reds like Nero d'Avola and blends using the grape. With the exception of the Tedeschi Amarone (a beautiful splurge at $50), these wines are priced between $22-$33 CDN. Those who know me know that I will always splurge on Champagne when I can. This year I was fortunate enough to taste some premium Champagne thanks to the WSET Advanced classes. There are plenty of excellent value sparkling wine options in the world, and Martini & Rossi's Asti fits the bill at $15 CDN. Once again, I was fortunate enough to try a premium Tokaji thanks to the WSET classes. Chateau Guiraud's Petit Guiraud retails at $30 CDN for a 375ml bottle and the Rutherglen Muscat is an excellent value at just under $30 as well. There are plenty of good quality sparkling rose wines that are good values because they do not come from the Champagne region. The Louis Bouillot is made using the same grapes and method as Rose Champagne, and priced just over $20 CDN! This year's value hot-spots are California and Chile. Both regions are producing some powerful, yet smooth and silky wines that rival their Old World counterparts, and are available at a fraction of the price! Interesting note: Kendall Jackson shared the photo of their Pinot and burger pairing on both their twitter and Facebook pages! Hopefully you'll find this list useful-maybe there's a wine here that you've been wanting to try, or one that piques your interest. I would drink any of these again, and likely will in 2014. Enjoy! One of the most well-known white wine grapes in the world is Riesling. Although it is widely grown in many countries world-wide, it is synonymous with Germany, where the first known mention of it was found, and where it remains the most widely-planted varietal today. Other regions that are known for their Rieslings include the Clare Valley in Australia, Austria, Alsace, and Canada, both the Niagara and Okanagan regions. With hard wood on it's trunk and hardy fruit, Riesling grapes can withstand frosts and cold temperatures, and are resistant to downy mildew. It ripens late, which make it ideal for late-harvest wines, botrytised sweet wines, and even Icewine. Riesling wines tend to be high in acidity and low in alcohol, with a wide flavour profile that includes blossom, stone fruits, citrus, and even petrol and kerosene with age. One of the most unique characteristics of Riesling is it's aging power; it can last for 20+ years in a cellar. My husband and I compared Gray Monk's 2011 Riesling with Trimbach's 2010 Riesling. The style of the Trimbach Riesling is similar to the "kabinett" style of German Rieslings: light-bodied, with high acidity and more citrus flavours on the palate. Alsace Rieslings tend to have more body, are higher in alcohol, and show a distinct flinty note. The flavours my husband and I detected were blossom, green apple, honeydew melon and lime. I found the Gray Monk showed similar characteristics on the nose and palate, but it also had the traditional peach flavour that attracts many to Riesling. It had a little more sweetness (off-dry) and the acidity was more mellow in the mouth. It seemed to be more balanced than the Trimbach, where the acidity in the Alsatian wine seemed to overpower the flavour intensity. This surprised me because the Alsatian was older by a year, and I thought it would have settled more than the Gray Monk, which comes from a colder climate. Both my husband and I preferred the Gray Monk over the Trimbach because of these reasons. In comparison to the standard characteristics of Riesling, the wines were on par with eachother, and we ranked both Rieslings as "good" using the WSET Advanced quality assessment. In fact, all 3 varietals were ranked the same quality throughout the project. And all wines retailed under $30 CDN. Gewurztraminer: Tie. My husband preferred the Sumac Ridge, I preferred the Trimbach. So are there differences between Alsace and Okanagan's noble varieties? I would argue yes. The differences we found were in acidity levels (in 2 of the 3 varietals), body, and flavour characteristics. If you like wines that have mouth-watering acidity and minerality with apple and citrus flavours, Okanagan white wines are a great bet. If you prefer a more mellow, fruit-forward white, Alsace wines are a must-try. These would all vary due to the climatic and soil differences between both regions. However, there really isn't a difference between the wines that were compared when assessing the quality. Try it yourself and see what you prefer, you just may be surprised like we were!